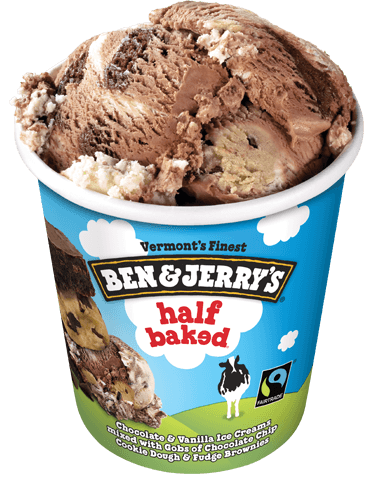 Half Baked is one of our favorite Ben and Jerry’s flavors! Of course, we love them all. Hooray for free cone day! 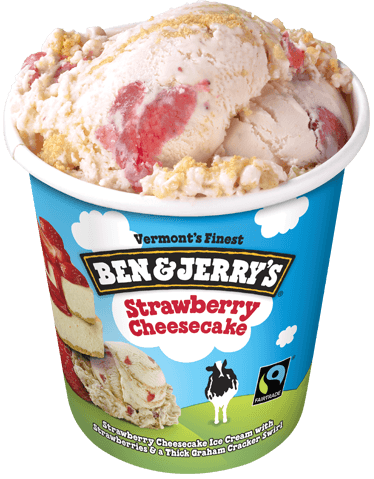 Strawberry Cheesecake is one of my all time favorite ice cream flavors and I’ve indulged on many a Ben & Jerry’s pint! Free Cone Day is marked on my calendar! I’ve loved Ben and Jerry’s for a long time too! I’ve been looking forward to today but just realized the closest shop is 40 miles away from me. Sad Sad Sad!!! Oh no, too bad the nearest one is so far away! Maybe next year you can plan a day trip, lol! Free Cone Day is so exciting! I’d love to try a free cone! 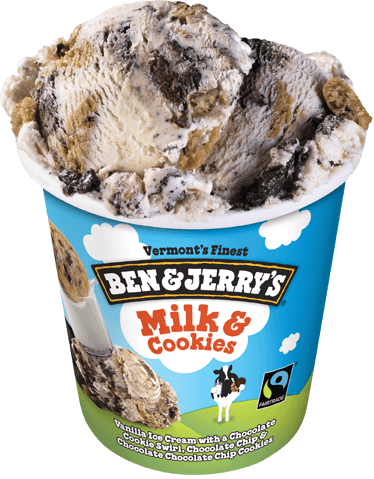 Ben & Jerry’s makes such delicious, creamy ice cream. I’d love to try some of their flavors today! I had no idea that it was free cone day! Good thing there’s a Ben and Jerry’s near us! I love Ben & Jerry’s! My favorites are Cookie Dough and Chubby Hubby! I wish we had a Ben & Jerry’s near us. I’d totally take advantage of this! Ben and Jerry’s is amazing! I always get the same flavour (chocolate chip cookie dough) because it is without a doubt the best flavour ever! Everytime I go to the shop I say I’ll try a different flavour but everytime I end up getting my favourite. I want to give the cores a go. OOH! A free cone is awesome. 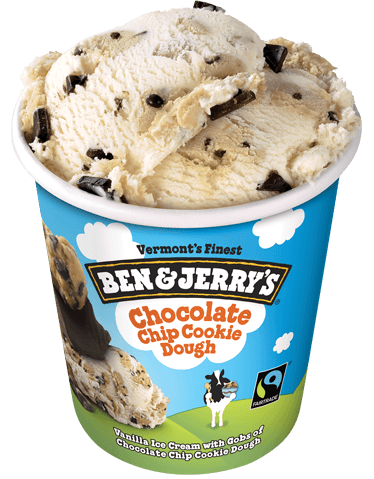 Ben and Jerry’s is my favorite ice cream on the planet. I’m all over this. well I can see that you and I have the same taste in ice cream, love each and every one of those kinds! Free cone day! I love Ben & Jerry’s ice cream. Their strawberry cheesecake flavor sounds really good right now. I love Ben & Jerry’s ice cream! My favorite is Cherry Garcia. Oh yes I do love Ben and Jerry’s one of my favourites has to be phish food. Milk and cookies ice cream!? Oh my that sounds heavenly. We are going to have to try this! I saw this last night at the very last minute. I’m so sad I missed it.Would have loved to have gotten a free cone but I couldn’t find a location close enough! You know there is a Ben & Jerry’s about two hours away in VT from me. 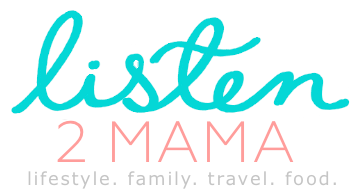 I need to go check them out and see what they have for consumers there, be cool to even do a tour! I love their ice cream a lot! That is awesome, I love Ben and Jerrys! Half baked is my go to flavour. Half Baked has always been my favorite flavor. Ben and Jerry’s is the best ice cream. Ben & Jerry’s sounds like a great place! I love ice cream as well and even my kids. My favorite Ben & Jerry’s flavor is half-baked. I crave it all the time and since having it I haven’t eaten another one. LOL! I can’t pick a favorite! I love all these flavors! (I MIGHT like ice cream LOL). I wish we had the store around us I would love to take advantage of this! Chocolate chip cookie dough is my husbands ALL TIME favorite ice cream also! I would definitely be placing an order for the Milk and Cookies. I wish we had one of these nearby, I would love to take the entire family for a treat. 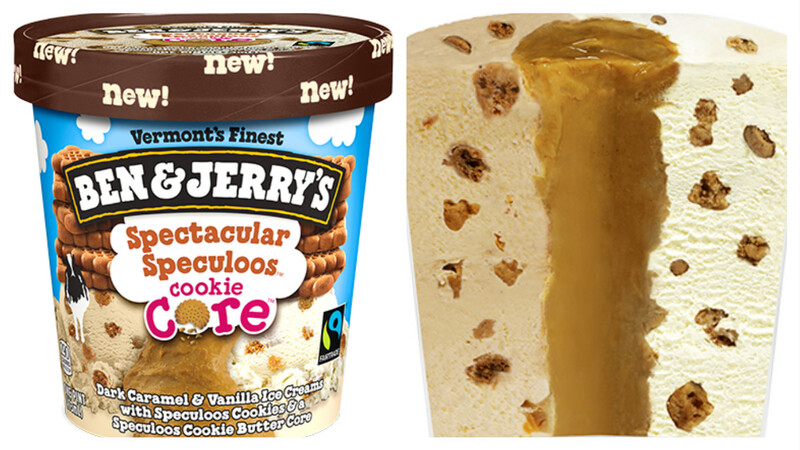 Ben and Jerry’s has so many awesome flavors! I wouldn’t mind a free cone. Too bad they aren’t anywhere close. When it comes to Ice Cream I don’t have any choices, I would go for anything that I get right away! These are some delicious choices where the Strawberry Cheesecake would be on top of my wish list & Spectacular Speculoos Cookie Core as well! I wish we lived closer to Ben & Jerry’s for free cone day. I just love their ice cream. My favorite is the Speculoos ones with the cookie butter core. So good! I love Ben and Jerry’s ice cream. They have come up with such creative flavor combinations that I want to try each and every single one. It makes me so sad that I don’t live near a Ben and Jerry’s! So awesome that they did this. Bem & Jerry’s free ice cream is something exciting to hear about. I’d want to try a new and different combo.